If MIT Professor Edward Lorenz hadn’t gone for a cup of coffee when he did fifty-six years ago, his 1972 seminal paper, ”Predictability: Does the Flap of a Butterfly’s Wings in Brazil Set Off a Tornado in Texas?”  may not have been written, Robert Redford may not have played a wise gambler in the 1990’s movie “Havanna”, Ashton Kutcher may not have travelled back in time in his 2004 movie, “The Butterfly Effect” to fix his childhood, and perhaps, least of all, chaos theory  may not have been discovered. How does this lesson, that a minute change in variables can have an enormous impact in outcome, affect business product launches today? Let’s look at a recent failed social media effort to access millenials’ wallets. On the surface, it was a winner: the 2014 non-profit industry celebrated a huge success with its major international ALS fundraising movement, “The Ice Bucket Challenge”. The program went viral, raised over $115 million in donations, and attracted 2.5 million new donors . Naturally, the ALS non-profits ran the same program again in 2015, but to their surprise, raised only $500,000, or 0.00434783% of 2014’s donations. So what was the minute variable that had changed in just over a year to cause the failed fundraising? In Philip Haid’s article, The Ice Bucket Challenge Part 2: What we can learn from why it didn’t work , he suggests the ALS non-profits forgot to consider the “why” variable in the program’s 2015 success. “Most people don’t interact with charities on a daily basis the way they do with their favorite brands, so it isn’t easy to breakthrough the clutter to capture your audience’s heart and mind. So being able to answer the question “Why would I do this?” let alone “Why would I do this a second time?” is critical to initial and sustained engagement”. Haid sums up beautifully, “Building your fundraising campaign by leveraging the latest fad is a recipe for short-term results… Campaigns based on lasting human behavior and insight are much more repeatable than those trying to leverage the latest social media moment”. (Phillip Haid is the Co-Founder and CEO of PUBLIC Inc., a Toronto-based cause-marketing agency and incubator that believes profit and purpose should go hand-in-hand). In late November, 2016, all social media predicted Hilary Clinton had a 99+% chance of winning the US Presidential election. A little known fact is that In 2014, an obscure (and new) R+D player, a Toronto firm, MotivIndex, had just emerged on the scene. MotivIndex forecast that whichever political candidate in the 2016 US Presidential election ran on “fairness”  would win the election. And in “fairness”, MotivIndex presented their findings to both parties in 2015; it was their prediction then it was a toss-up between Donald Trump and Bernie Sanders. The Republicans listened; the Democrats didn’t. Off-topic for a moment, based on Trump’s recent tweet about “fairness for the American worker”, although President Trump has just withdrawn from the Paris Climate Accord , he is still talking “fairness.” It seems, then, if he’s remembering how pivotal “fairness” was to his getting elected, he just might be listening to someone, perhaps a relatively unknown Toronto R+D firm… who, maybe, just might have a word with him about a few other matters their research has turned up… . But I digress. In their book, Web True.0. Why the internet and digital ethnography hold the key to answering the questions that traditional research just can’t , the authors (and MotivIndex’s partners) make the case that business investment in R+D would be much better spent in investing in the time to get to know their consumer better, to build a more meaningful customer relationship. As the authors wrote about eHarmony’s 80 year-old founder, Neil Clark Warren, in their TV commercial when Warren talked to a young single hesitant to take the time to fill out their 200 question compatibility survey, “Do you want it fast or do you want forever?”  … which is perhaps a goal all CEO’s holding the (very expensive) advertising purse strings keep in their hearts. After a rather chaotic preamble, the purpose of this case study is to present how businesses’ use of social media is part of collaborative supply chain management. I have a sense MotivIndex’s behind-the-scenes proprietary research, or research like theirs, was part of the “secret sauce” behind McDonald’s highly successful “All Day Breakfast”  launch which started in Canada on February 21, 2017. In addition, I have a sense that use of ethnographic research, much like Motivindex’s, also influenced McDonald Canada’s brilliant but obscure “Not Without Canadian Farmers ” promotion. Let me point out now that an unsung hero, or virtually silent partner in the success of both these recent product launches, one – All Day Breakfast, and the other – serving only 100% Verified Sustainable Beef sourced from Canadian Verified Sustainable Beef producers, is Cargill, McDonald’s official co-founder (and partner) in the Canadian Sustainable Beef Pilot Project , and the sole supplier of McDonald Canada’s (all natural) 100% beef patties. Let’s go back in history for a moment. What happened between 2008 and 2015 to motivate McDonald’s (and Cargill) to change their product launch development strategies by 2016? In 2008, a global recession had begun that strangled the economy for over five years. Job loss trashed the middle class’s sense of security. Trust in the American Dream, if you worked hard and sacrificed you’d achieve financial success, had been shattered. Households were now worth 36% less than a decade ago. A new cultural reality, based on feelings of anxiety and insecurity, had formed . Time’s linear march didn’t change but the world of consumer culture had been altered profoundly. And the financial impact on McDonald’s during the Great Recession? Its business philosophy somersaulted between 2008 and 2016 because by 2014, their results  had. McDonald’s CEO, Steve Easterbrook, owned up to the $18 billion fast food retailer’s disappointing 2014 performance – sales up only 1 percent with an operating income decline of 8 percent – in an Oct. 14, 2015 article  with Forbes writer, Steve Banker. Let’s go back to the All Day Breakfast Campaign. Why was it so successful? After all, for almost a century, Kellogg defined the American breakfast. In his article, “Who killed Tony the Tiger? How Kellogg lost breakfast. ”, the author, Devin Leonard, stated that traditional R+D had identified that increased health awareness amongst consumers had led to strong wants in reducing things like carbohydrates, sugar, genetically modified ingredients, recognizable ingredients, and of course, less calories. A second claim was around convenience. But despite adding yogurt and berries, and creating calorie-reduced cereal power bars to stave off hunger pangs during the day, Kellogg’s results, while spending more than a billion dollars in advertising in 2014, were down almost 14% in some brands. Kellogg’s product line innovations met all traditional research’s accurate and correct criteria. But what MotivIndex discovered was that “healthy” was not what was motivating consumers. In the context of cereals, traditional R+D stated “healthy” was what consumers were asking for, but what they really wanted was food that relieved the intense anxiety they associated with getting ready to go to work in the morning. MotivIndex dubbed this Great Recession-caused effect “energy anxiety”. MotivIndex’s research showed 60% of consumers associate breakfast with a sense of preparedness and perseverance, like Rocky running up the 72 steps of Philadelphia’s Museum of Art at 4am every morning , to fight the day; and something substantial makes them feel rewarded and satisfied. Hence, more confident, more competitive and less vulnerable, several beliefs that drove consumers to pick one form of breakfast, the Quick Serving Restaurants’ (QSRs) breakfast sandwich, over other choices, like cereal, or calory-reduced cereal bars. The first thing one consumes sets the tone for one’s sense of overall well being. Further, breakfast signifies self-improvement and prepares them to take on the day’s challenges. Good calories with healthy fats and proteins help the consumer to feel prepared and competitive – for example, eggs and bacon. In 2016, consumers bought more breakfast sandwiches from QSRs than ever before. The trend in morning foods wasn’t about eggs, it was about the first meal of the day solving the critical job of anxiety reduction and preparedness. And a very important fact all parents know, millenials often start their day well after noon. Up until early 2017, McDonald’s Canada shut down serving breakfast at 11am. After Feb 21, 2017, McDonald’s Canada introduced an all day breakfast because they needed to reach millenials, who despite the (late) hour, wanted the option to start their day with breakfast. McDonald’s All Day Breakfast sandwich fit the bill perfectly . Like their local Toronto business neighbour, Phillip Haid, MotivIndex believes business needs to know the “why” in order to launch successful new campaigns; that research can no longer rely on asking consumers what they believe; they have to find out what motivates consumers; and the bias variable gap between “what” and “why” has to be filled-in. MotivIndex gives credit to Simon Sinek’s book Start With Why (2009) * for inspiration, “…it’s biology… the part of our brain that motivates us to do something is completely different from the part of the brain that helps us express (why we did) it in words.” For a more detailed explanation, please read Sinek’s book (pp 56-59). MotivIndex believes the answers to “why” lie within the Internet, and they claim their proprietary software can, by unobtrusively scouring the internet and social media sites, unearth why consumers do what they do. Perhaps, MotivIndex can reduce results’ chaos in conventional market R+D outcomes. Is finding out “why” as groundbreaking a variable as Lorenz’s? Probably not, but if you’re the new R+D company in town that called the “fairness” belief in 2014 that may have tipped the US election, and you look now at MotivIndex’s client roster, I’d say the Fortune 500 have sat up and taken notice. *(The essence of biology behind MotivIndex’s proprietary R+D algorithm is succinctly explained in Simon Sinek’s TedTalk, Start with why — how great leaders inspire action). But with respect to the All Day Breakfast campaign, its successful launch required their supply partner, Cargill’s, intense collaboration (Cargill is McDonald Canada’s sole Canadian beef supplier, and the company who makes and delivers all McDonald Canada’s hamburger patties). Rolling out All Day Breakfast at McDonald’s 14,000 stores in the US in 2016 required McDonald’s and Cargill to find solutions for logistical and supply chain challenges. Foremost among them was finding a way to cook both breakfast and regular menu items side-by-side in an efficient, food-safe and consistent way. Cargill worked with McDonald’s in a replica kitchen for months to rethink every procedure across thousands of tests. Doing so ensured that the (real) eggs were cooked to McDonald’s Gold Standard alongside other (natural – like butter on the toasted buns) ingredients. “The best way McDonald’s can meet and exceed our customers’ changing expectations is through strong relationships like the one we have with Cargill ,” said Marion Gross, senior vice president and chief supply chain officer of McDonald’s North America. “Cargill was with us every step of the way, from kitchen testing to training our crew — and that’s what makes them a truly valued member of our supply chain”. I could, and perhaps should, end here but I think it’s important to take a bit more time to look at the profoundly collaborative and strategic relationship between McDonald’s Canada and its supplier, Cargill, in their latest 2016 co-dependent product launch, the Canadian Sustainable and Verified Sustainable Beef Program . The Program’s genesis was 2012, four years into the crushing Great Recession when McDonald’s became a founding member of the Global Roundtable for Sustainable Beef . The organization proposed various definitions in collaboration with the public to mutually agree upon a set of principles for all stakeholders, with supporting criteria, for what sustainable beef would encompass. This arduous two-year definitions’ process would include principles for maintaining or improving soil health and air quality as well as protecting water and animals. In 2014, McDonald’s Canada and its supply chain co-founder, Cargill, announced the start of the Canadian Sustainable Beef Pilot Project (aka Verified Sustainable Beef [VSB]) whereby the VSB pilot program would get into the nuts and bolts of Canadian beef production – the entire supply chain – from farm to fork. The VSB program would source up to 100% of its beef from local Canadian verified sustainable operations: 67 million pounds annually, about $1 billion worth of VSB beef. It was a mutually strategic corporate decision then, both McDonald’s and Cargill’s, to partner to make sure the customer would always be confident Canadian beef patties bought from McDonald’s would always be safe to eat. The pilot was a true collaboration of minds across the entire supply chain. McDonald’s and Cargill established an infrastructure to ensure Canadian beef verification worked with Alberta producers, stock growers, feedlots, packers, and the verification data-base organization, the Beef InfoXchange System (BIXS) , to find an authentic, scientifically provable way to track chain of custody and “sustainability indicators”— like animal health and welfare, efficient feeding and management practices, innovation, and land management; the agreed-upon indicators the public wanted. A few stand-out statistics of the Project: nearly 200 Alberta producers participated in the pilot, allowing BIXS to track the chain of custody of some 9,000 head of Alberta cattle — the equivalent of 2.4 million patties sold in Canadian McDonald’s restaurants over the last two years. May 20, 2003: Canadian Food Inspection Agency announces a black Angus cow from northern Alberta has been found through time-consuming DNA back-testing to unequivocally have bovine spongiform encephalopathy (BSE), “Mad Cow Disease”. The United States immediately closes its border to Canadian beef and cattle. About 40 countries follow suit. November 29, 2003: Report from BMO’s economics department says Canadian cattle producers have lost about $5 billion since the crisis began. Ten years later, 2013 (one year after McDonald’s founds the Global Roundtable for Sustainable Beef, and one year before McDonald’s and Cargill’s VSB Canada-only program announcement), Alberta’s beef industry is still in decline . Canadians were eating less meat and fewer producers were raising cattle ten years after mad cow disease brought the beef industry to its knees. Edmonton Stockyards, one of the city’s original businesses, shut down a couple of years after the BSE crisis hit, and in 2013, was still an empty field. Even in Alberta, the amount of beef consumed declined by more than 10+ per cent over the last decade. BSE had affected consumers and producers profoundly, but perhaps, by 2016, it would be just a distant memory. However, 2016 was fast-approaching whereby McDonald’s would start buying all the Canadian VSB-certified beef available. After all, McDonald’s and Cargill are deep in the 100% Canadian beef business together. They have to do all they can to make sure all goes well. In terms of a possible marketing strategy conceived in 2012, if McDonald’s were able to reinforce public opinion about beef safety in their beef patties via bona fide third-party data, McDonald’s and Cargill would need to lead the beef industry to make said accessible data easily available to the public to prove no McDonald’s hamburger patty could come from a BSE-diseased cow should mad cow disease ever happen again. Cargill’s agreement to partner with the VSB BIX data base was prescient then. BIX would encompass stringent record keeping, and be able to trace Canadian beef via DNA testing from farm to consumer if necessary. Every cow was RFID-chipped, and its history, from birth to “procurement” was recorded. As well, if McDonald’s supply chain now accepts beef only from VSB-registered farmers, then McDonald’s and Cargill have an incredible supply chain marketing edge over Canadian competitors who can only advertise their beef is 100% AAA Angus Beef. Who has the monopoly on VSB-certified beef? So, consumer, who are you going to trust, and where are you going to buy your QSR burgers if beef safety ever becomes an issue? McDonald’s had promised the Canadian beef industry they would start buying 100% Canadian VSB beef in 2016. The results were published in April, 2016 and by July, McDonald’s kept its word: buying all the 100% Canadian VSB available – just in time for the Rio Olympics. Some times, long term strategies just happen to pay off. 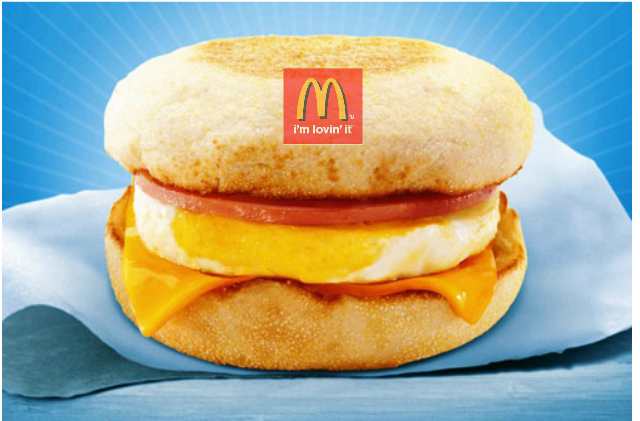 Do McDonald’s breakfast competitors think McDonald’s sustainability platform has legs? I would say so in that Kellogg’s arch-rival for shredded wheat, Nabisco’s Post brand, has just launched a “sustainability” campaign  with a cute short video charting Shreddie’s supply chain from planting wheat to the cereal bowl. However, I have a sense “sustainability” is cloaking McDonald’s underlying marketing motive, and although Nabisco Post’s use of it has merit, that breakfast is the entry point for people’s day, unless Nabisco does some deeper research into why people want to eat cereal, their profits from a sustainability market “pull” may disappoint. Time will tell. In that the big Canadian VSB-certified beef pilot project has concluded, what social media might Cargill and its supply chain be engaging in now? Well, they’re working with Walmart (a big retailer for McDonald’s products, too), and another huge player in consumer products, on a commitment to the Environmental Defense Fund  to reduce their respective carbon footprint. “Big players in retail and consumer products are beginning to see that business and a better world don’t have to be at odds. They’re taking the lead in cleaning up their supply chains to cut waste and pollution … and strengthen profits … and stock shelves across America with more sustainably produced goods. In this story of (collaborative supply chain) progress, everyone wins.” Sophisticated global PR is smart for all supply chain partners, then. And, Cargill and McDonald’s are taking a stand against deforestation . Partnering with the Carbon Disclosure Project (CDP) , Cargill confirms the role of business’s responsibility in curbing climate change. Global food and agriculture can and must chart a path forward that advances Cargill’s two linked priorities – nourishing the world and protecting the planet. In CDP’s recent Global Supply Chain Report , the CDP is fully aware of the role of the supply chain in environmental responsibility. It is an area rich with opportunity that remains mostly unexplored, a new frontier, where a number of pathfinders are starting to show others the value that can be found . And they acknowledge the supply chain’s power in procurement, …money talks. With their Canadian beef social media promotion on the back-burner for now, Cargill is still active in the US, reaching out to other social media channels about beef because, as Cargill’s Steve Polski knows , “You might have a target consumer who is not an activist in a particular area, but if they develop an overall negative impression of your brand they may not pick up your product. Social media can inflame real issues and spread misinformation like a modern-day game of telephone. Helping your consumers know the truth can give you the edge to stay ahead of the hype”. As part of the US Cargill delightfully irreverent campaign, The Udder Truth , Cargill helped the popular satirical site, The Onion  use humour to dispel myths around consumer-sensitive beliefs about farming and the treatment of animals. I’ll leave this case study with a “Kudos, Cargill!” for having the foresight to use story-telling  to engage consumers on a genuinely empathetic level, and to do some truly authentic socially-conscious acts of kindness on behalf of the very hard-working farmer, by hiring muralists to paint the humble barn, to make a happier home for the farm-to-fork journey for the McDonald’s 100% beef patty. I look forward to learning about Cargill’s progress, along with Walmart’s and McDonald’s, on reducing their carbon footprint. Perhaps, they could tweet their positive results in the future to President Trump. Social media is very powerful and it epitomizes, “Money Talks”: A popular Canadian restaurant chain, Earl’s, in early May, 2016, announced it would buy all its beef, dubbed “Certified Humane Beef,” from Kansas rather than Alberta. There was a major Canadian public relations backlash, and Earl’s reversed its stand within a matter of days saying they underestimated how important local sourcing is to consumers. Cargill has worked very hard to build its reputation over many years, but on March 17, 2017, Cargill tweeted “it would work closely with the #non-GMO project and hope to have even more Cargill ingredients verified in the near future”. Their customers felt insulted and the backlash was swift, brutal, and effective as this “non-GMO Project stuck goofy “non-GMO verified” labels on everything from water to kitty litter”. Cargill apologized and withdrew support from the non-GMO project. They were then accused by more tweets they put money before conscience. You just can’t please everybody. Big data needs to look through the lens of ethnography. It’s not the what, where, when or how, it’s the why that business needs to know, and fast. Business needs to go beyond what customers say, and try to capture why they’re saying it. Business needs to find out what binds customers together for brand loyalty. It’s not always rational. What Temple Grandin said about animal welfare and industry transparency, “We’ve gotta start looking at what’s optimal, instead of what’s maximal” is a profound bit of wisdom about a lot of things. In 1963, William Bruce Cameron made a prescient statement in his text, “Informal Sociology: A Casual Introduction to Sociological Thinking”, “…It would be nice if all of the data which sociologists require could be enumerated because then we could run them through IBM machines and draw charts as the economists do. However, not everything that can be counted counts, and not everything that counts can be counted”. …seems to hold true for today, too. PS: this quote is often attributed to Albert Einstein. He has many profound quotables, but this isn’t one of them. Definition taken from http://www.informationphilosopher.com/freedom/determinism.html, retrieved on June 3, 2017. Arkalgud, U. & Partridge, J. (2017). Web true.0: Why the internet and digital ethnography hold the key to answering the questions that traditional research can’t. Lulu Publishing Services. (p – 5) Sinek, S. (2009). Start with why. New York. Penguin Group (USA) Inc. I have been hired recently by a consulting company start-up to write their communication pieces that they shall distribute to their clientele. As well, the Company has asked me to look after their social media needs; hence, my enrolment in the U of Waterloo's Social Media for Business Performance online certificate course. On a personal level, in that I have not participated in social media platforms, this shall be an interesting growth experience for me.